There are a few things I couldn’t live without during pregnancy and a few things I have fallen in love with for my baby. I am such a fan of Palmer’s Cocoa Butter, Ryan and Rose, Cozys and Cannuka that I decided to give one of my followers a chance to own these products too! A little about how I came to love these items. I did a campaign with Palmer’s Cocoa Butter during my pregnancy with Noah (you can read that here). I was so happy when I was contacted because I used their products when I was pregnant with Myles. A little tip for moms, keeping using the products after you have the baby. I got stretch marks on my breast when my milk came in, not during pregnancy. I also notice a few marks on my inner thighs weeks after Noah was born and I started to lose the baby weight. So keep applying! I first heard of Ryan and Rose when I was browsing my friends baby registry and I ended up purchasing her Ryan and Rose items she wanted. Shortly after that they contacted me to gift baby Noah a few things and I love them. The colors are soft and neutral and have you ever seen a cuter pacifier clip?! They are also based out of Memphis, I love supporting small businesses! At my baby sprinkle a friend of mine had gifted me a swaddle blanket and car seat cover from Cozys. I had never heard if the brand but it’s based out of Arizona where my friend is from. 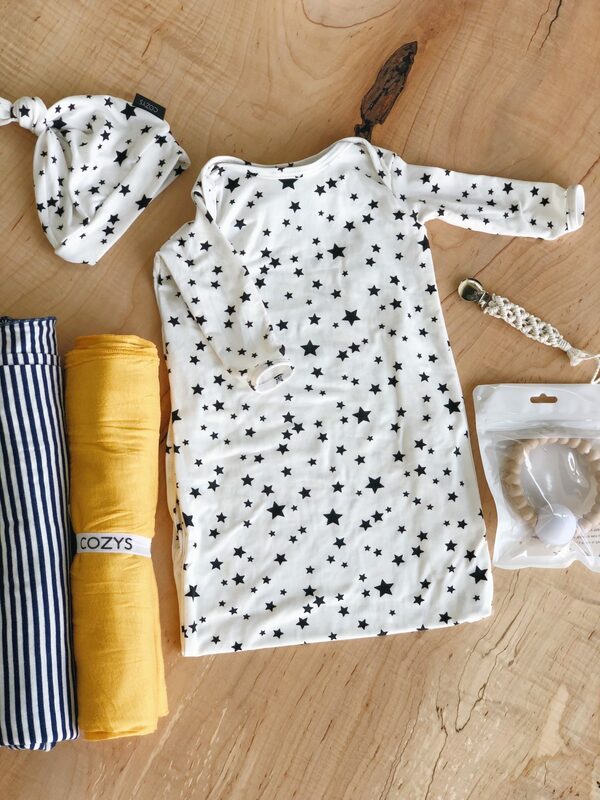 Not only are the prints adorable but the jersey knit fabric is extremely soft. 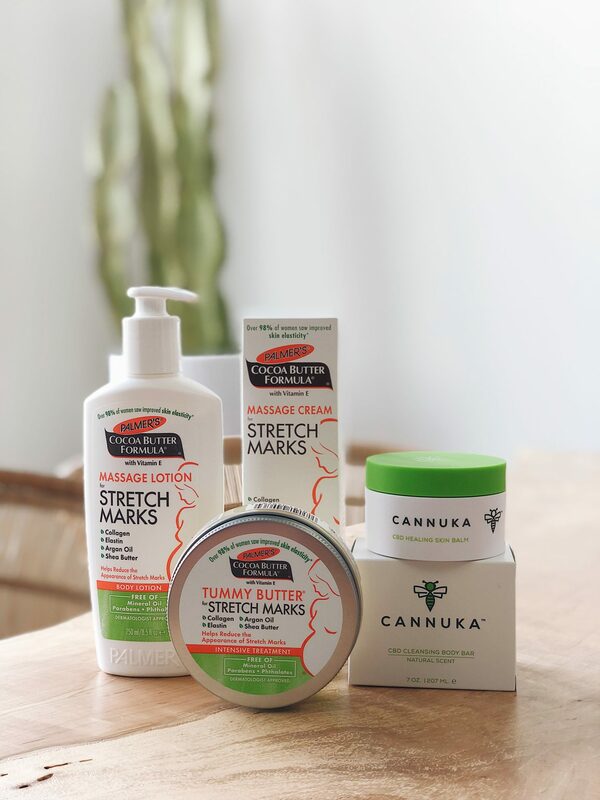 Cannuka is an all natural line that my friend told me about. Cannuka sent me their products to try and I knew I wanted to add a few of the items to my giveaway. These items are perfect to use during pregnancy and after! I’m so excited to be sharing these brands with you. A big thanks to all of them for providing the products! Next Post Cheers to 30! All of these products sounds great, especially the super soft jersey blankets. This is such a great giveaway! Cute baby products and essentials for mama! Why I will like to win this giveaway? Well; I have a 18 month baby boy! My husband and I wanted to have another baby for my son not to grow alone and have someone to play with! 4 months ago I got pregnant we were so happy. Unfortunately my baby stopped growing and i had a miscarriage. It was hard for me I got into depression I thought i was not able to have kids the worst came into my head. Two months passes and now i am pregnant again. Which we all happy. Well I didn’t answer the question but I just want all women to know that miscarriage is hard to go through but never give up! A little angel will come at the right time! Don’t be sad try the best to be happy! And when ever you imagine that blessing will be with you. We are expecting our first and any extra cream and lotions can help a lot. I’ve been using this palmers lotion for awhile now, but I will be out super soon. I love this stuff! I am expecting my first child in September and love learning of new brands that other moms recommend. Moms gotta stick together! !